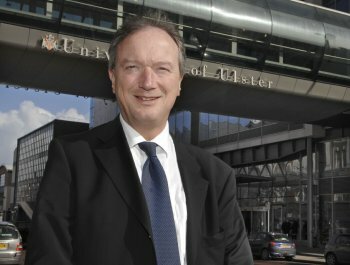 Built Environment research at the University of Ulster has recently netted substantial European grants totalling over £3million. Professor Stanley McGreal, Director of the Research Institute at Ulster, said: “This considerable investment represents the high calibre of innovative and world leading research carried out at the School of the Built Environment. One of the projects – worth £450,000 – is from BESECURE and was granted under the Seventh Framework Programme (FP7), which is the EU’s main instrument for funding research in Europe. The research work is designed to enhance best practice security policy in urban areas across the continent and will be looking specifically at factors which may encourage or discourage economic prosperity. The consortium involved in the project includes high-level partners from countriesincluding the UK and Ireland, Netherlands, Germany, Poland and Italy. In the Fire Engineering area a FP7 project on aircraft fires, worth £350,000, will be evaluating the fire performance of composite materials in new aircraftand the consequences on safe evacuation in crash landing accidents. Two further FP7 funded security proposals, HARMONISE and COBACORE, are collectively worth around £800,000. The research team at Ulster, in partnership with experts across Europe, will be developing a post crisis needs assessment tool, for enhancing reconstruction and recovery for COBACORE. HARMONISE is part of a multi-partner project that will deliver solutions for enhancing resilience in large scale, urban built infrastructure. The EINSTEIN project is bringing £400,000 to the Built Environment Research Institute for a study of new, high temperature heat pump development, related to large scale, inter-seasonal solar energy storage systems. This project complements OCTES, a £150,000 Interreg project operated through the Northern Periphery Programme. It will look at energy storage and energy tariffs and seeks to evaluate the potential services required to implement ‘demand side management’, where consumers in remote communities are given the ability to control their energy use. CESAR, another FP7 funded project, was awarded £280,000 and is developing cost effective absorption air-conditioning and associated design and building integration tools. As Europe moves towards low and zero-carbon housing, challenges arise in the management of building integrated, renewable energy technologies. Energy generating Renewable Energy Systems (RES) have the benefit of allowing electrical connection and financial mechanisms to feed into the network. Ulster has been awarded £300,000 through MERITS to develop, demonstrate and evaluate a compact storage system, based on novel, high-density materials which can supply heating and cooling with up to 100 per cent RES. To improve the market up-take the study will work on business models, market strategies and other non-technical issues. Partners in this grant include research institutes and universities as well as Small and Medium Enterprises (SMEs) and industry specialists, capable of bringing the project results to the market. Ulster is a partner in the H2FC European Infrastructure Project, which supports the science and development of hydrogen and fuel cell technologies, towards a European strategy for sustainable, competitive and secure energy. The project, which brings £600,000, to the University, involves networking, transnational access and joint research activities, with Ulster heading the networking integration activities of the project. The FP7 HyIndoor project, worth £270,000, will lay the foundations for preventing and/or mitigating thermal and pressure effects of accidents involving leaks, when hydrogen-powered systems are used indoors. Knowledge generated from this project will directly inform the development of European safety guidelines for indoor fuel cell installations.